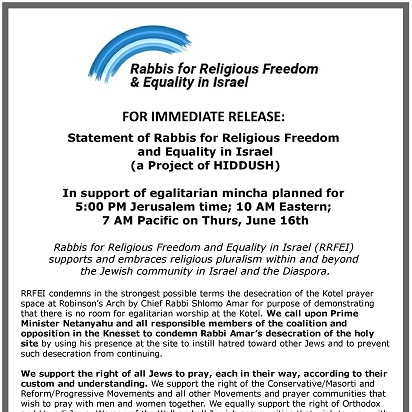 An RRFEI press release in support of the egalitarian prayer service on June 16, 2016 at the Western Wall – RRFEI condemns in the strongest possible terms the desecration of the Kotel prayer space at Robinson’s Arch by Chief Rabbi Shlomo Amar for purpose of demonstrating that there is no room for egalitarian worship at the Kotel. We call upon Prime Minister Netanyahu and all responsible members of the coalition and opposition in the Knesset to condemn Rabbi Amar’s desecration of the holy site by using his presence at the site to instill hatred toward other Jews and to prevent such desecration from continuing. RRFEI response to the Western Wall compromise agreement – RRFEI gives great credit to the Reform movement and Conservative movements, and the Women of the Wall for making the painful sacrifice of giving up their demands of being allowed to hold egalitarian prayer services and women’s minyanim at the traditional Western Wall plaza. 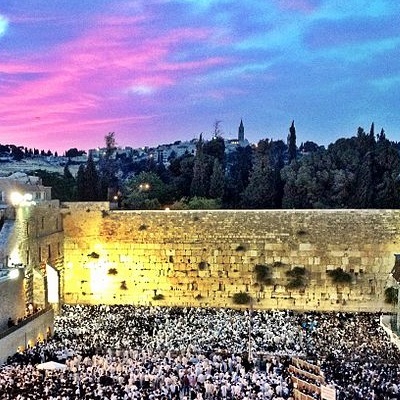 While a section of the Wall, which hitherto functioned as an archaeological garden, and had never operated under the dictates of the Orthodox rabbinic establishment, has now been designated as a pluralistic prayer space, it must be underscored that this compromise stipulates that the main Western Wall prayer plaza will officially remain under ultra-Orthodox authority. 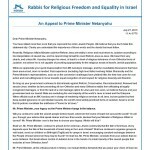 An RRFEI appeal to Prime Minister Netanyahu – A letter to Netanyahu, signed by nearly 100 rabbis, demanding that he act to end the Israeli government’s discrimination against the non-Orthodox streams of Judaism, regardless of coalition politics. This was written following Religious Services Minister Azoulay’s public proclamation that he cannot bring himself to count Reform Jews as Jews.